IE Business School - International MBA | IE Business School takes over MBAT! IE Business School takes over MBAT! Richard Barnard current student of the International MBA program – Class of 2010 describes his experience during the MBAT Sports Weekend. This past weekend close to a hundred IE Business School students from across the English, Spanish, November, April IMBA intakes and the other Master programmes flew to Paris to take part in the annual MBA Tournament (“MBAT”). MBAT is hosted by HEC Business School on its campus close to Versailles west of Paris. MBAT brings together business schools from across Europe including the UK, Spain, France, Italy, Switzerland, Holland, among others. 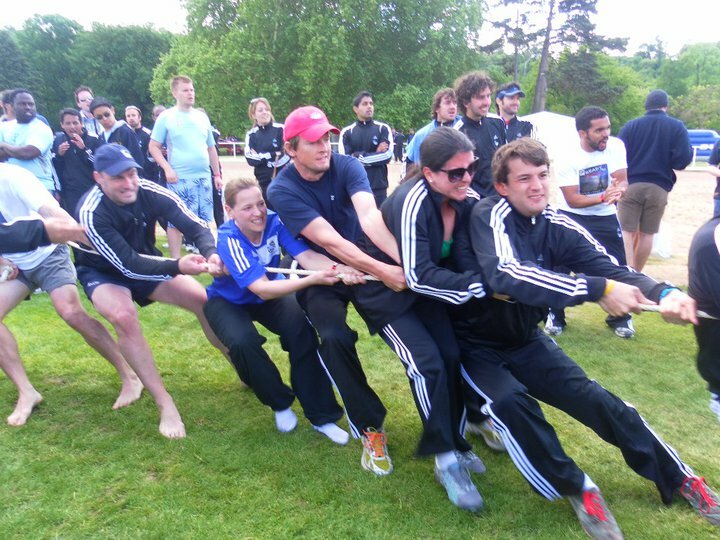 For 3 days each year these business schools compete in a broad spectrum of sports, winning individual event trophies and aiming ultimately for the MBAT Cup, awarded to the overall champion. Coinciding with the end of Core Period 2 and a few days holiday from the IMBA programme the mood was relaxed. IE students competed in several activities and the teams performed superbly. 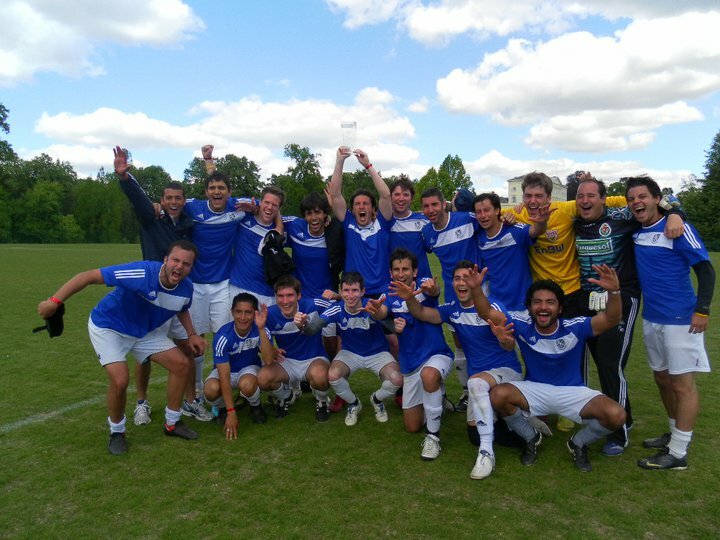 Special congratulations must go to the IE Football Team who once again proved they are the best in Europe in 2011, beating LBS in the final to be crowned MBAT champions. Gold medals were also won by the IE Golf Team and for Women’s cross-country. Silver medals were won by the Women’s Football Team, Men’s Rugby Team, and Bronze by the Swimming team and Golf Team 2. Personally, I represented IE at Cricket and Tug-of-War; whilst not participating in a champion team at either of these two sports, the sporting camaraderie made the weekend extremely enjoyable. The diversity of the IE student body shone through and the MBAT weekend provided a fantastic opportunity for all students from all the various programmes to meet, mix and have fun. The weather helped; three days of glorious Parisian sunshine ensured that good times were had by all participants on and off the sports fields. We also made time to visit the centre of Paris and see the sights. 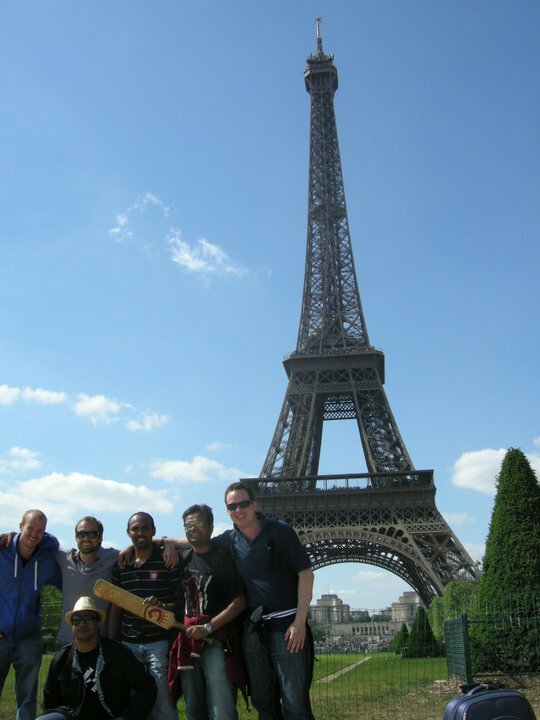 The cricket team decided to do this on the first day, taking the approach of “bringing cricket to Paris” and playing at each of the major landmarks across the heart of the city, culminating in a game of cricket beneath the Eiffel Tower. On a final note, although there was not a prize for it, I believe that by popular consent IE also won the disco dance floor challenge … at least I won something!